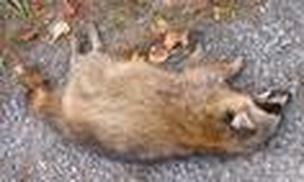 Dead animal removal in Beaverton is one of the many services we provide. Many people do not know who to call when they need to have a dead animal pick up in Beaverton, Oregon. It is always a good idea to have a professional properly remove the dead animal and sanitize is necessary. The main areas that people have dead animal problems are under there house or in there yard. The ones in the yard are very important to remove quickly because they can spread disease as well as easy for children or pets to come in contact with. When an animal dies underneath your house, usually in the crawl space it can be tougher to detect. The first sign that you have a problem is the horrible smell, which can stay around long after the carcass is gone. We offer services for that as well as preventing the problem was happening again. The main problem is often over looked when dealing with a dead animal problem and that is how the animal got inside. One main thing to understand is that you do not want to block an entry point under your house unless you are positive all animals are out. We are able to come out and make sure no animals remain inside as well as seal up all current holes or potential problems. Dead animals are almost always noticed by the horrible smell they put off when decaying. This odor can stick in the insulation, walls, and almost everything long after the animal carcass has been removed. We are able to remove odor inside the house, under the house, and even in the attic with our professional deodorizer. The deodorizing products we use are food grade, which makes them safe to use around children and pets. It also kills the source of the odor as is not just a cover up smell. For Beaverton Dead Animal Removal Call 503-201-2432!